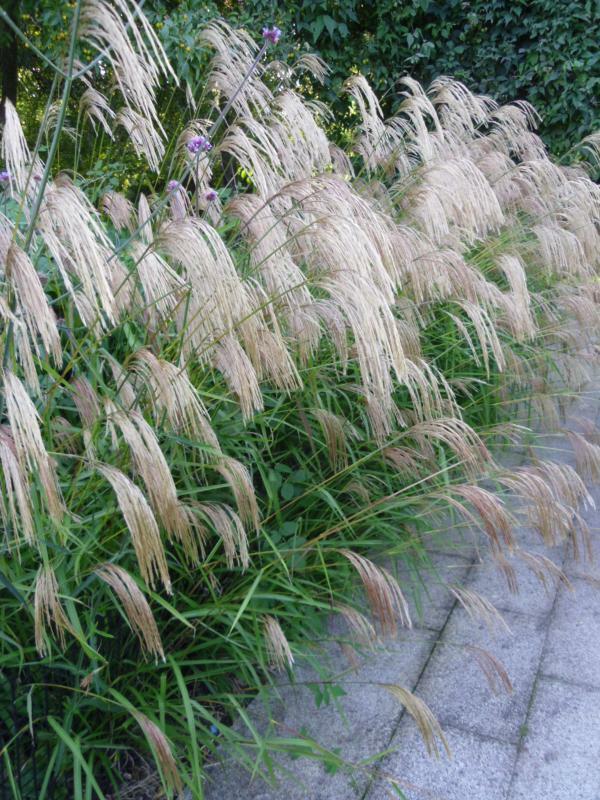 Ornamental Grass Flowering - 12 plant collection - Plants to Plant from PlantsToPlant. 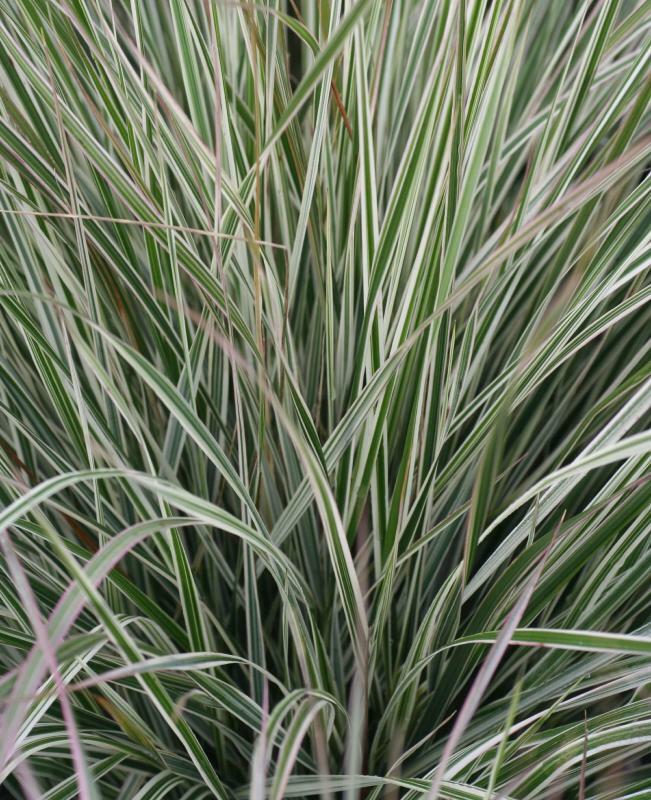 A selection of 12 plants to help complete you border landscape project. 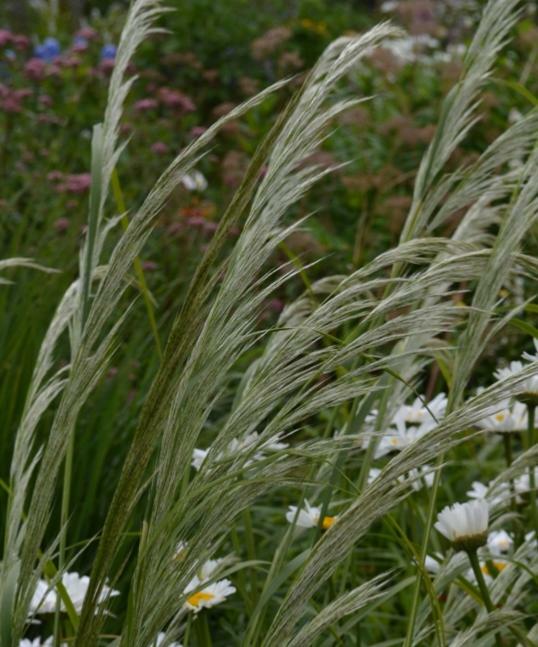 For prairie and wild garden style or just to add class to the perennial border. 12 plants in 9cm pots - 3 each of the following 4 varieties. 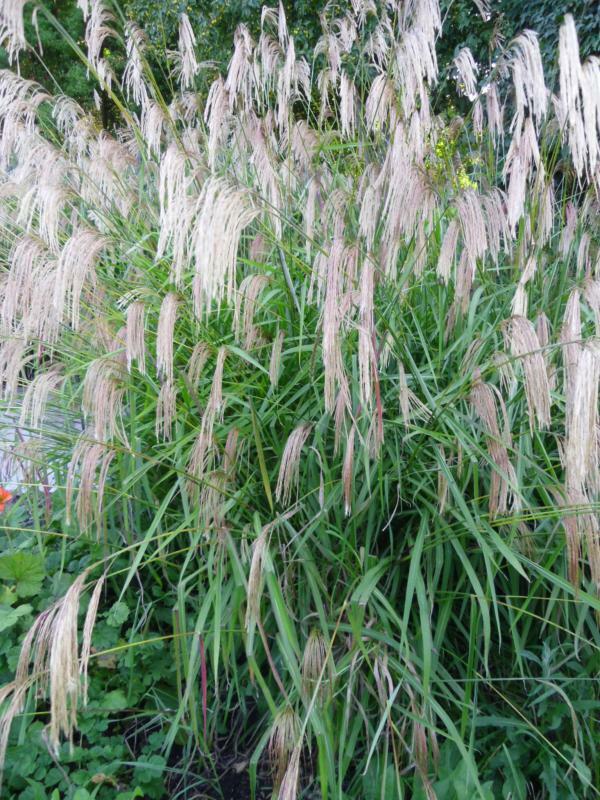 Pennisetum alopecuroides f. viridescens - Pennisetum alopecuroides var. 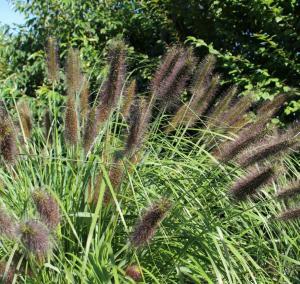 viridescens is a beautiful variety that is commonly called Black Fountain Grass or Dwarf Purple Fountain Grass. 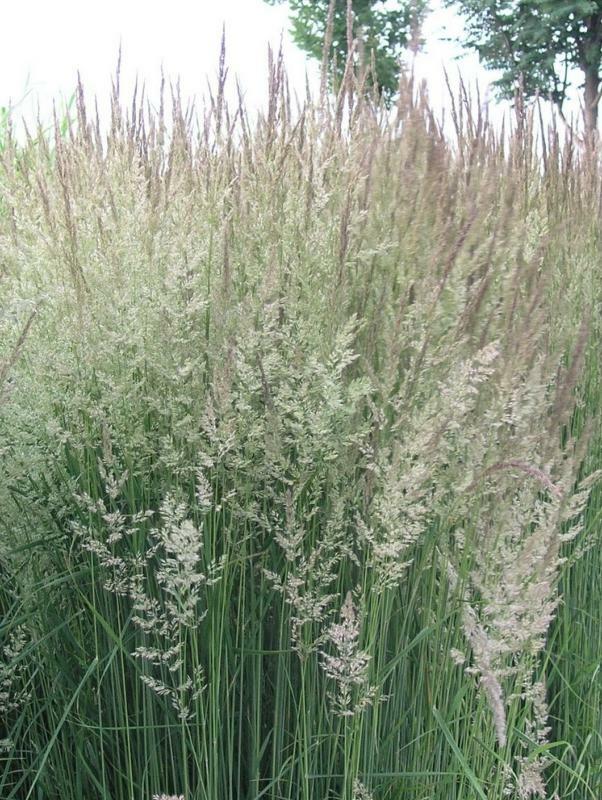 It has broader leaves and darker flower heads than the regular species and, growing to around 60cm (24in)tall, it is also slightly smaller. 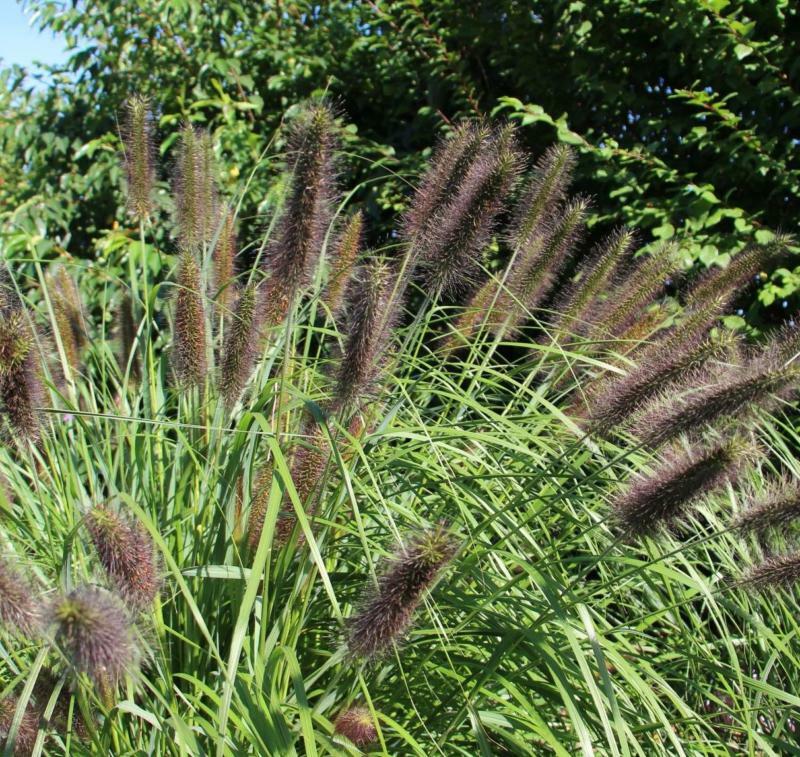 In late summer graceful fountain-like smoky purple-black plumes emerge in profusion and contrast nicely with the slender arching, glossy, deep green foliage. As the seasons progress and the late autumn frosts begin, the green foliage turns beautiful shades of yellow, chartreuse and amber. The plants add interest and structure to the winter garden as well as seed for birds, while the inflorescences are valuable inf lower arrangements.